Yesterday, Google’s new system, Android 9 Pie was unveiled and at the time of the announcement, Pixel phones and Essential Phone were already getting the update. 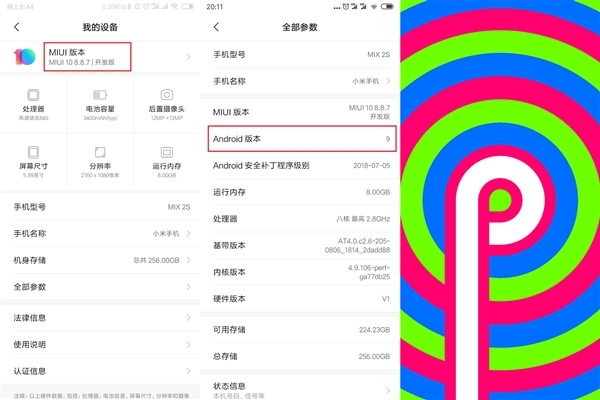 Google was quite magnanimous with the development of Android 9 Pie and companies like Xiaomi, Oneplus and others were involved. It took Xiaomi less than 24 hours to start pushing this update to one of its devices as the company announced that Xiaomi Mi MIX 2S have started receiving this update. 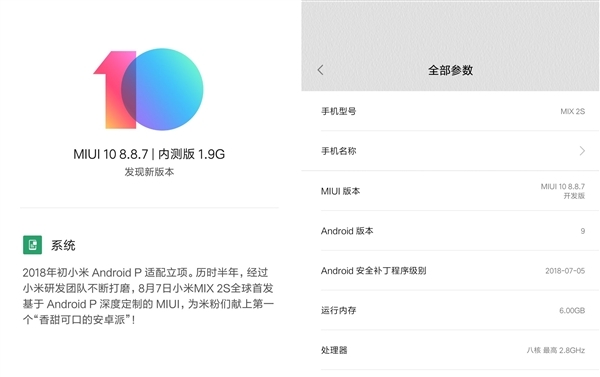 This update is the Android P 8.8.7 beta version and potential users can go to MIUI official forum or app to upgrade to the latest version of Android. Calculator: The calculator experience some clicking irregularities and it is been repaired. Xiao Ai Assistant: Xiao Ai assistant wake up by spontaneously. Theme: Content of the theme details page cannot be loaded, but the theme can be downloaded, is being repaired.